Just type in a title, enter your URLs, and submit! 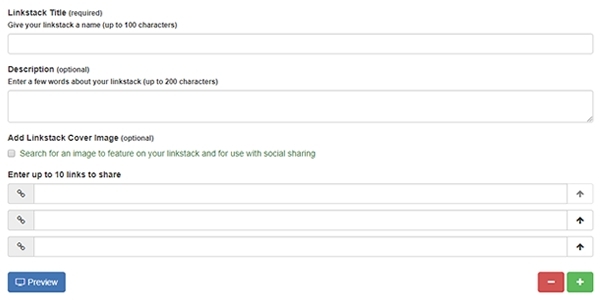 We fetch the data to build your linkstack. 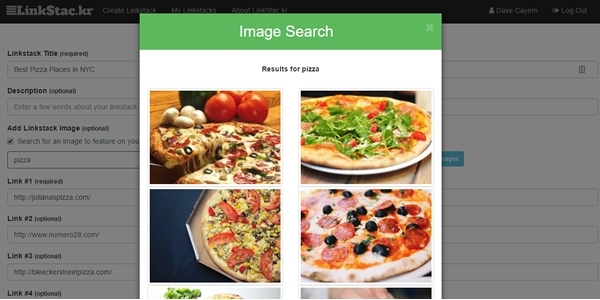 Use our integrated image search to find the perfect image for your linkstack. All images are 100% royalty free -- even for commercial use! 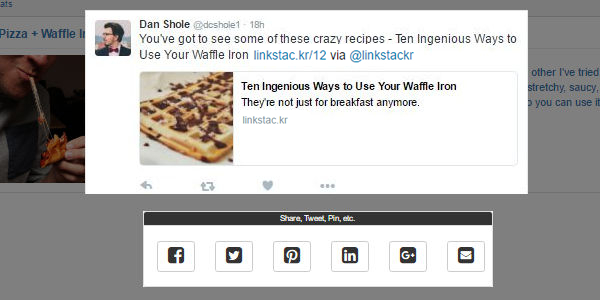 Sharing tools are built in to each linkstack page, and your post will look great on any major social network.